Dissenting opinion of Greece - but for how long? In addition to the above countries, the Netherlands and Britain insist on a hard course against Caracas, in particular, against - Greece. Her leftist government, which has an instinctive sympathy for Maduro and his regime, needs everyone to demonstrate that Greece is not a colony of creditors, but an independent country. Therefore, in order to persuade Athens to take the side of the majority, the Greeks will have to “rally”. In the meantime, they demonstrate integrity, as well as common sense. In contrast, in Berlin, it is believed that only the National Assembly can provide new presidential elections. As Niels Annen (SPD), the state minister at the German Foreign Ministry, told the Deutsche Welle official interview, Berlin considers the Venezuelan parliament "the only legitimate institution." Germany has no confidence in President Maduro since he “controls all the country's institutions,” which gives him the opportunity to “dominate the elections and falsify them.” “We are counting on the loud voices of our Latin American friends,” as the situation is unacceptable and continues to deteriorate, Annen added. Certain differences exist in the European Parliament. Christ Stylianidis, European Commissioner for Crisis Response and Humanitarian Aid, who spoke on Wednesday on behalf of Mogherini, stressed that "military intervention will only aggravate the situation," therefore "the solution to the crisis must come from the citizens of Venezuela." True, he did not rule out that the EU could take additional measures if early presidential elections are not announced in Venezuela, which President Maduro, whose term of office expires in 2025, is not going to hold. However, for a sharper position, above all recognition of the opposition as the legitimate authority in the country, a consensus in the EU is needed, which is not yet the case. There is no disagreement only that of the two existing parliaments in Venezuela, Strasbourg recognizes the National Assembly, of which the President of the European Parliament Anthony Tajani assured the Venezuelan oppositionists. But this is less than recognizing the usurpation of power in Venezuela by its chairman, Juan Guaydo, behind whom are the United States, whose president, Donald Trump, has already congratulated his Venezuelan puppet "on the historic assumption of the presidency." Let's see how the European Union will come out of this situation. In part, this will depend on the United States. 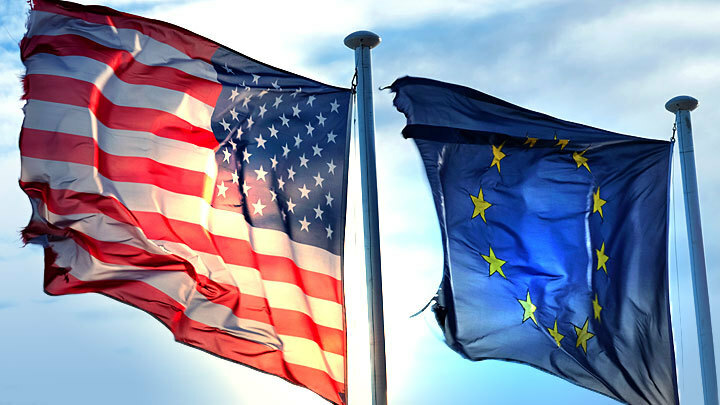 If Washington agrees to the EU’s right to vote in deciding the fate of the Venezuelan energy sector (European oil companies rightly fear that all the “trophies” of Maduro’s shift will go to the United States), this will be one conversation. If not, then another.